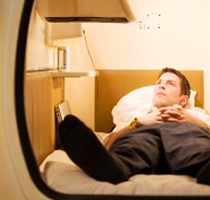 What exactly is a capsule hotel? 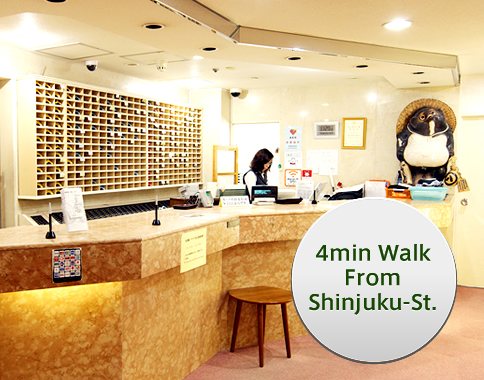 Capsule hotels are accommodations that have thrown away the idea of a single private room, and have instead focused on basic necessities such as sleep and bath to provide the most accommodating stay at the lowest prices. Capsule units that provide rest are shaped like the cockpits of aircrafts and are stacked in two layers, continuing down the hallway. 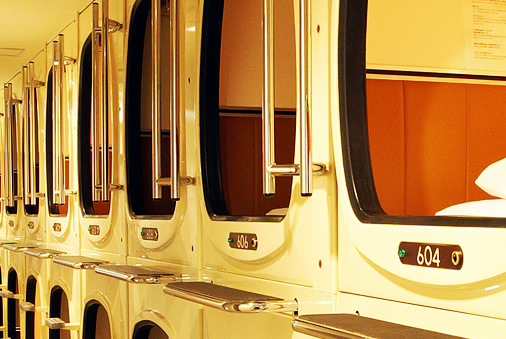 Many people think that the only thing you can do at a capsule hotel is sleep, but in fact, some capsule hotels have large baths, saunas and spacious lounges that are even better equipped than some business hotels. 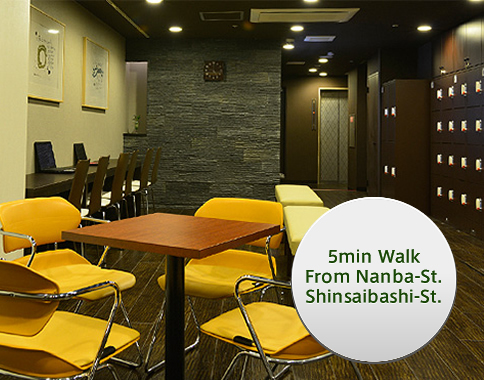 In recent years value-adding services such as ladies-only floors, sophisticated business lounges, tablets and manga rental services are making capsule hotels increasingly more attractive at a fast pace. 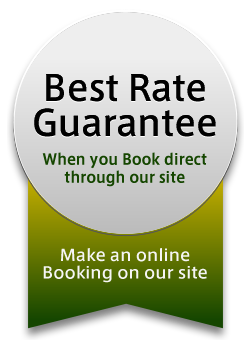 Another characteristic of capsule hotels is being able to secure accommodation without prior booking. 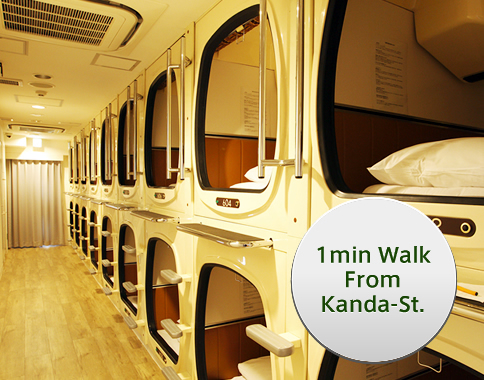 This is because capsule hotels have more rooms than business hotels. Thus, many people such as businessmen who have missed their last trains, or young people who are in town for a concert and want to save on accommodation often make use of capsule hotels, and many show up without reservations.